When I look back at my 7th through 9th grade pictures, I’m always mortified when I see my metal- wired full grin because I needed to wear traditional braces for two years. When I think of my braces with those awful coloured bands to attract even more attention to my awkward metal mouth- it’s just embarrassing. Sometimes I wish I could have known what Invisalign cost so I have been spared those embarrassing years. In recent years, Invisalign has become a popular and well-known alternative for braces (though unfortunately for me way after my heavy-metal stint). Invisalign works by using a custom-made set of aligners that are made from a comfortable and smooth plastic- thus making them practically invisible- that you wear over your teeth. Depending on your personalised treatment plan, you will switch out the aligners roughly every two weeks. They gradually shift your teeth into place so there is no need for metal brackets or wires to tighten (or hurt your mouth!). Honestly, the best part is most people will not even know you’re wearing braces! If you’re a teen that’s looking for an alternative to metal-wire braces or even an adult who couldn’t fix their smile when they were younger, Invisalign is the way to go! 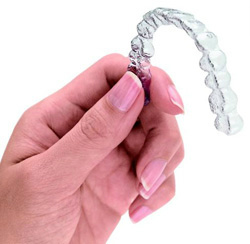 Now you must be wondering, what does Invisalign cost? So seriously, spare yourself the embarrassment and uncomfortable feeling in your mouth from wearing traditional braces. Go to New Road Dental and get the smile of your dreams without drawing attention to your mouth in the process! For more information on Invisalign cost and our other orthodontic services visit our website at New Road Dental. To schedule an appointment for Invisalign, book directly on our website or call us at 01923 776 270. 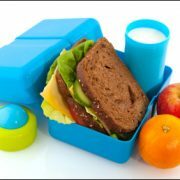 //newroaddental.co.uk/wp-content/uploads/2016/10/healthy-lunchbox.jpg 282 425 Paaras //newroaddental.co.uk/wp-content/uploads/2016/09/New-Road-Dental-Logo-600px-V2.png Paaras2016-04-20 13:55:122016-10-07 09:12:31What does Invisalign cost?